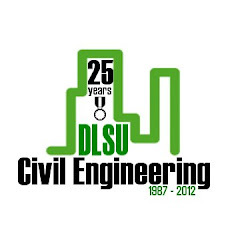 Congratulations to Civil Engineering Department, the Chair and Vice Chair and all its faculty members, staff and students for the C.E. 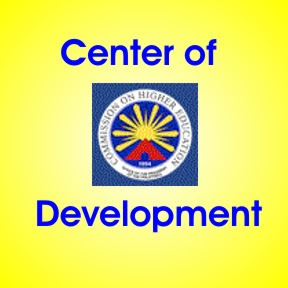 Program was granted the Center of Development award by the Commision on Higher Education (CHED). 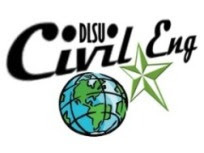 The Department of Civil Engineering, De La Salle University – Manila is hosting the Lectures on Geographic Information Systems (GIS) and Spatial Visualization: "Collaborative Virtual Environment for Planning and Management" by Dr. Ian Bishop on 25 February 2010 from 2:40 – 5:00 PM, Thursday at the Ariston Estrada Seminar Room, (L216) De La Salle University– Manila. This lecture is co-sponsored by the Dept. 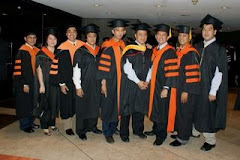 of Geodesy, College of Engineering, University of the Philippines through the ERDT Program. (Seats Available(40 pax)). The activity is coordinated by Dr. Renan Tanhueco (renan.tanhueco@dlsu.edu.ph). Dr. Ian Bishop Is a Professor in the Department of Geomatics, School of Engineering at the University of Melbourne. He completed a M.Sc. in Geophysics degree at the University of Melbourne. His doctoral research involved mathematical modeling of land use and completed his Ph.D. in the same university. This led to his interests in a wide range of computer applications in environmental assessment, planning and design. In 1979, Dr. Bishop was a Research Fellow in the Centre for Environmental Studies at the University of Melbourne, working on several areas: computer based land use planning, analysis of the visual impact of transmission lines, assessment of information system requirements and tender documents and performance tests for major computer systems in State Government Departments. At the same time, Dr. Bishop focused his work on Geographic Information Systems (GIS) applications to landscape planning, particularly on visual analysis and GIS based visual simulation. These were supported by research grants from the CSIRO, the Electrical Research Board and the Australian Research Council. In 1988, he joined the Texas A & M, as an Assoc. Professor and Associate Dean for Information Technology in the College of Architecture. His sustained interest and expertise in visualization technology were supported by grants from the Institute for Innovation in Design and Engineering and the USDA Forest Services. In 1991, he returned to the University of Melbourne as Director of CGISM and continues to serve and collaborate with partners in the academe and industry to improve the management of natural resources and to contribute to public participation in planning and design issues by utilizing the power of GIS and visualization technology. With 140 refereed articles and over 70 conference papers in systems modeling and integration, landscape perception and environmental decision support system, Dr. Bishop is here to share his work and professional experiences with the academic community.